There is no denying Amazon has become the world’s largest on-line retailer. Nevertheless, they are NOT the only one. Despite this fact, many of Amazon’s customers appear reluctant to purchase from other retailers. Why? To simplify the discussion, it has been separated into two distinct parts: Positive and Negative aspects. As this website is primarily designed to assist authors and readers, the following will centre upon book purchasing. Nonetheless, some of the principles mentioned will apply to the purchasing of other products. Naturally, the vast range of products Amazon carries makes it a useful multi-purchase site. Many books are available in various formats: Hardback; Paperback; Digital; Audio; MP3; etc. whereas some other on-line book retailers only have digital editions available. Authors have a tendency to migrate to Amazon because it provides easy to use publishing systems: CreateSpace (for Print-On-Demand paperback editions); Kindle (for Digital editions); Audio (AX) (for Audio editions). There is also the fact, until they become familiar with the self-publishing world, a majority of new authors will not have heard of other available self-publishing systems. Consequently, many new independent (indie) author’s books are initially only available through Amazon. Amazon’s sale sites and systems are reasonably easy to use and search. Often a simple one-word search will produce the relevant page(s). For those who purchase from Amazon on a regular basis, the ‘Prime’ package that provides for free and speedy delivery is an advantage. Prime membership also enables access to other products not available to the general customer. Most countries have dedicated sale sites in the local language. Amazon utilizes effective worldwide delivery companies/systems. Considering all the above it is understandable why many chose to limit their on-line purchasing to Amazon. Not all books/products are available through Amazon. Readers could be missing out on some good reads by limiting themselves to one retailer. The facility for authors to offer discounted or free books is a little restrictive. In order to utilize the discount facility signing up to the Kindle Select Programme is mandatory. This requires books to ONLY be available through Amazon; they have to be removed from all other retail sites. Membership of Kindle Select is set at ninety-days, with only five of those being available for offers. By restricting themselves to the one retailer, readers can miss out on many good as well as free and discounted books. For example, other retailers permit authors to have their books permanently on discount or free without the requirement to sign up to any restrictive programme. Some consider Amazon’s size and frequent under-pricing has been responsible for the decline of many businesses, especially bricks-and-mortar book shops. Of course, that may not be the full story: Social purchasing habits have changed over the years. Amazon are not the only ones to provide free, easy to use self-publishing facilities e.g. Smashwords; Draft2Digital; to name but a couple offer free self-publishing systems that also make books available through other retail sites: e.g. iBooks, Barnes and Noble, Kobo; etc. Purchasers may miss out by limiting themselves to one retailer. Accepted: Purchasers may need to set up separate accounts for each retail site but it is easy enough to do. Bargains may be missed by restricting to one retail site. Good, interesting, quality, books may be missed by not considering all available retail sites. There are other self-publishing sites available for both publishing and purchasing: e.g. Barnes and Noble (including Nook); iBooks; Google Play; Smashwords; Kobo’ etc. This is by no means an exhaustive list; just some ideas. In the end, it is down to the individual author or purchaser. Nevertheless, the writer considers it is worth the purchaser’s effort to consider all sites and all that is available on-line: This is a new world where there are multiple opportunities that both authors and purchasers should avail themselves of to obtain the richest returns. While this post was being prepared news of an Amazon change became public. Up to now, when clicking the ‘Buy’ button on Amazon’s retail sites, the purchaser was automatically purchasing from the book’s publisher (Amazon in many cases) which, after relevant deductions, passed the profit onto authors by means of a royalty. In a recent change, Amazon will permit third-party retailers to bid for buy slots on book/product pages. The potential is for these third-party retailers to have their buy buttons above the publisher one. The effect? Customers are currently accustomed to simply, and quickly, hitting the buy button without further thought and the author will subsequently receive their royalty payment. Now, if a customer does not look carefully, they may be clicking on a third-party buy button. Why would this matter? Hopefully, readers are interested in giving authors due recompense for their work and with the book’s publisher this does occur. However, there is uncertainty regarding where these third-party retailers are getting their copies of books from. Apparently, some deal with second-hand, previously used or old stock, books only. Remember, digital books (e-books) may also be second-hand/previously used. Consequently, though the retailer will receive payment, and make some profit, the author will receive nothing; royalties are only payable for the initial sell. Of course, it must be accepted Amazon is a business and therefore looking to earn money by various means, but this change may, potentially, be bad news for authors whose income could be adversely impacted. This is especially so if their books are in demand and many third-party retailers bid for the option to sell their books. This is new – thank you Tanya for publicizing this. Interesting but it would be nice if we were given more sites to buy from that we may not know. Glad you found it interesting Susan and thank you for your observation. I have mentioned some other retailers in the article but understand. When time permits, I will see about providing some actual links to the alternative book retail sites I know of. Thanks, that is probably art of the problem–don’t know where else to go and not into searching–prefer i fo from others. Susan, thought you would like to know post ‘Book Retailers’ detailing some alternative book retail sites now available. 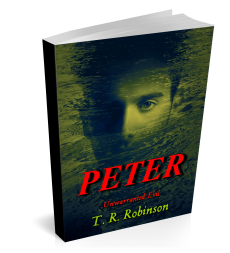 Here is url: https://trrobinsonpublications.com/2017/06/06/book-retailers/ You may also access it by selecting either the ‘Authors’ or ‘Readers’ category in the right hand column.